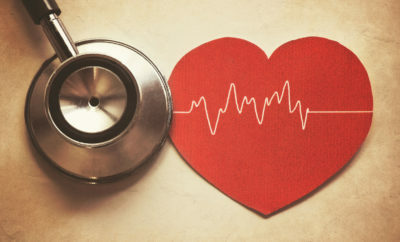 Every year, cardiovascular disease (CVD) or more commonly, heart disease claims the lives of 17.5 million people globally. In Singapore, 16 people die from CVD daily. 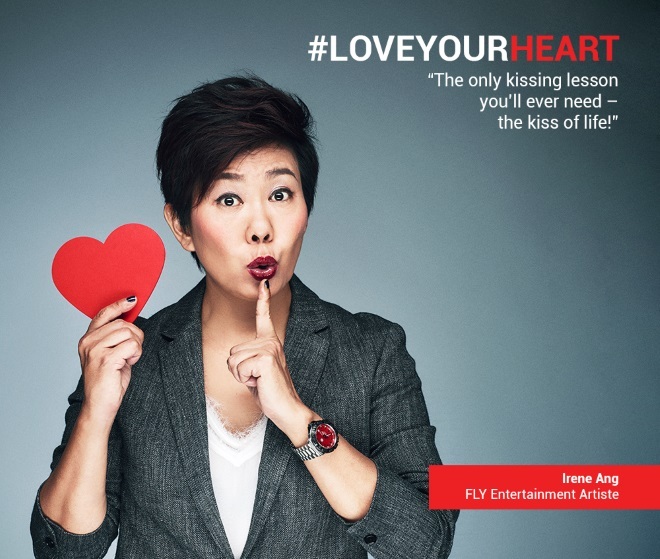 FLY Entertainment has produced a 2018 ‘Love Your Heart’ calendar featuring local celebrities led by Irene Ang and featuring other FLY Entertainment artistes including Benjamin Kheng, Noah Yap, Jaime Teo, Amy Cheng, and Ebi Shankara. 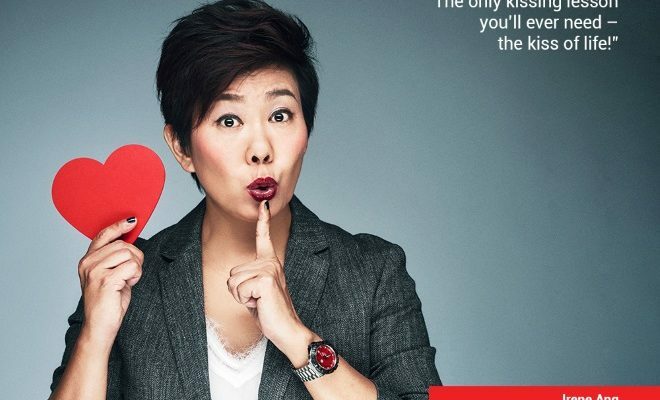 The calendar raises awareness about different heart-related concerns and urges fellow Singaporeans to make heart health a priority. 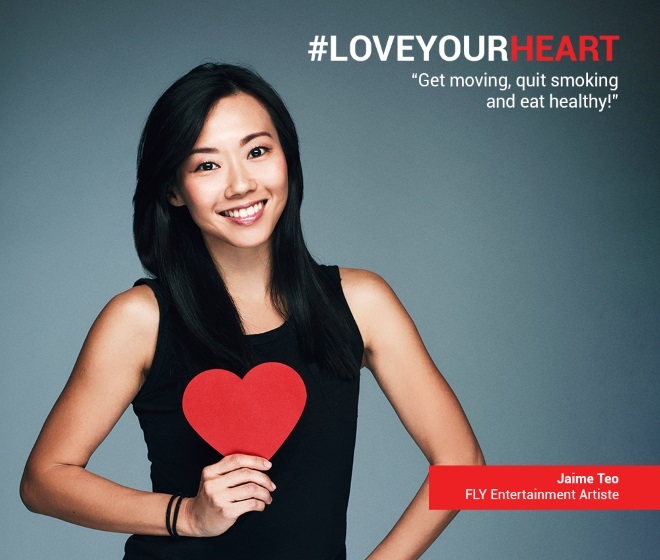 We speak with Irene Ang , Founder & CEO of FLY Entertainment and Jaime Teo, FLY Entertainment Artiste about their insights on CVD, health scares and some tips on keeping a healthy lifestyle balance. 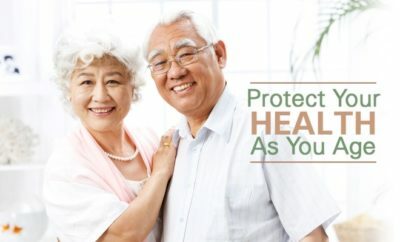 The Active Age (AA): Can you share some background about your health scare in 2015? 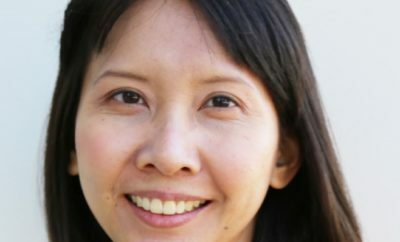 Irene Ang (IA): In the beginning of 2017, I started to realize all of my shoes were too tight. One day, I was changing to a pair of heels for work and that’s when my PA highlighted to me that my left leg was really swollen. Coincidentally, during that period, I was constantly having interrupted sleep due to my heart palpitation especially after a long day of work (rushing from meetings to shoots, to hosting events). My doctor insisted that I do a complete check (inclusive of blood tests and MRI) to try and determine the cause of the swelling. It was later on via the test that he discovered that there was a meniscus tear and there was a vein blockage and my blood was too thick – the vein was blocking the flow which meant that the blood from the feet couldn’t flow properly to the rest of the body properly. I had 2 operations (1 for the meniscus tear and 1 for my veins) and was bedridden for 2 – 3 weeks. AA: What was the one insight that you had from that episode? IA: It was through this incident that I realised that someone as active as me (I make it a point to exercise at least twice a week) could still be vulnerable to such illnesses. Right now, I do stretches whenever I can (I’m still working on this because I sometimes forget) and I make sure to keep exercising twice a week. Even whilst working, like on shoots, I make sure I stretch whenever I have breaks because one of the causes of the meniscus tear was that I did not warm up properly before I started playing Tennis. Stretching is very important! One other insight was that it is important to pace myself. I have to remind myself that though my mind is constantly working (I still think that I’m in my 30s!) but my body is actually in its 40s. AA: How do you balance your work demands vs. a healthy lifestyle? IA: From this incident, I learnt that it was necessary to eat healthy and to remind myself to slow down. Now, I make it a point to work from home once a week, to work on things at my own time, at my own pace. It became more evident to me that work is never ending, so every Sunday I make sure to start on my to do list so I could plan and pace myself and not overwork myself during the week. AA: Can you share your top 3 tips on keeping the balance? IA: I think the following would help to keep your heart healthier lah! Balance. 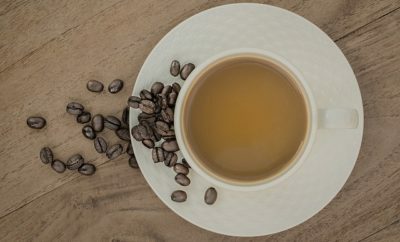 I believe it’s really a matter of scheduling deliberate exercise time, alone time (ie meditation or reading), time with family and eating right. It is a balance of Body Mind and Soul. 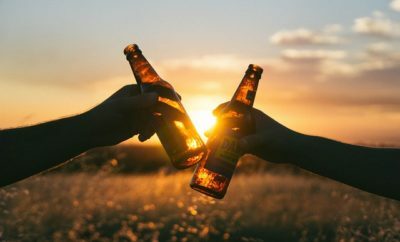 AA: Can you share about the insight you had, that started you on your health journey? 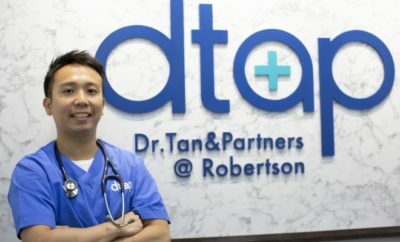 Jaime Teo (JT): My health journey began when I tried a home DVD dance workout! It made me happier, younger than I’ve felt in awhile and because I enjoyed it so much, I did it very regularly. Within a month, I felt a difference in my physique and energy levels. I guess with results, I was motivated to do more and really got on the fitness bandwagon after! AA: How do you implement your fitness regime while running your business? JT: I usually try to get my workout done before the work day starts. My motto really is that anything is better than nothing. Surely I can give 12 minutes to a workout before I shower, sometimes In the bathroom! Home workouts are best for me because they are fast, effective and I do not have to travel to get anywhere since travelling is a big deterrent for me. That said, I’ve picked up squash in the last 2 years and enjoy it so much I make time for it every other day! I guess when you find something you like, you’ll find a way! AA: What are your top 3 fitness tips? JT: For fitness, anything is better than nothing. For sustainability, find a sport you enjoy so you are actually rewarding yourself with a stronger body to do that sport when you get fit. Lastly, I think setting yourself realistic goals are important. When you can achieve baby steps, you will be encouraged to continue!